David currently serves as the Assistant to the Director of Safety & Mission Assurance (SMA) at NASA’s Johnson Space Center (JSC) in Houston, Texas. He is responsible for assuring effective governance of SMA regulations and requirements associated with the JSC infrastructure. 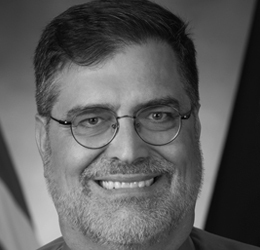 David also Chairs the NASA Facility System Safety Working Group responsible for maintenance and implementation of safety policy and practices associated with agency facilities and infrastructure. Since 2009, David serves as a charter member of NASA’s Safety Culture Working Group, defining the agency’s desired safety culture characteristics. He assisted the development of long-term agency-wide safety culture survey and measurement processes and contributed to associated policy development. David also supports agency SMA training and communication initiatives.